When you live in a place for long enough, you’re eventually going to run into problems – things that need replacing, upgrading, or repairing- and that includes antenna repairs. But what happens when you’re renting an apartment and you must answer to a corporate body, a landlord, or both? 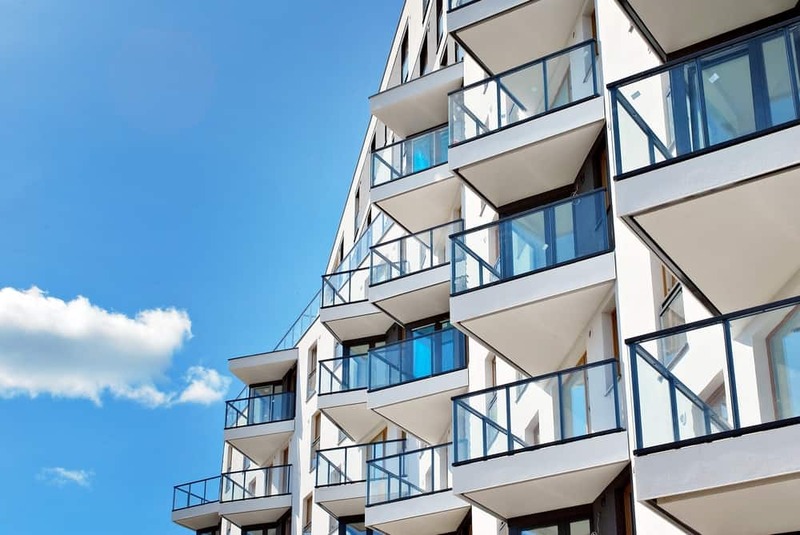 Apartment buildings often have shared antenna systems or master antenna TV systems (MATV) which means that booking an antenna repair or upgrade won’t just affect you. It could affect your neighbours or your whole apartment block. A relatively simple job can get a whole lot more complex. Although your apartment building, corporate, or landlord may pay for some repairs in your apartment (burnt out lights, etc.) some repairs are on you to handle. So, who pays for what? We’ll get to that (very important) question shortly, but first, let’s talk a bit more about antenna repairs. You’ll know you need to book a professional to assess the situation if you can’t get your usual channels and reception. They’ll be able to let you know if you need an antenna repair, cable repair, antenna upgrade, or something else. But if you’re renting an apartment, don’t be too quick to call a repair person – first you’ll need to check whether it’s your responsibility to book and pay for the repair or not. Are You Entitled to a Working Antenna? If your antenna was working when you first moved in, and/or you were led to believe this feature was included (for example, you could see there was a TV wall point), your landlord is required to provide a working antenna and TV connection. After all, it’s part of what you’re paying for in your rent each week. In that case, your landlord or rental manager is generally required to organise your antenna repair and pay for any part of the job that’s not covered by body corporate (for example, your TV wall point or internal wall cabling). This rule applies to all rentals, not just people living in apartments. When you live in apartments, units, townhouses, or any kind of living arrangement that involves common areas, you’ll likely have a body corporate. If your antenna repairs affect more than just you (like the common areas or other residents), you’ll need to first chat to body corporate and get their approval before you book a technician. Body corporate may even have a budget to pay for repairs to your antenna if it’s in a common area. Since common areas are available to more than one person, an antenna repair that’s up on the roof or affects the reception for others in your building falls under this. But if in doubt, contact body corporate first so you know where the boundaries lie. We’ve listed the relevant laws from each state and territory’s body corporate act that cover who’s responsible for maintenance and repairs (including antenna repair). While each state has separate laws, they’re all pretty similar. If it’s in a common area, body corporate is responsible for maintenance and repair. If it’s within the boundaries of your apartment, you or your landlord are responsible for arranging any repairs needed. It’s the responsibility of the owners corporate to replace or repair fixtures in the common areas. This includes antennas and antenna connections that affect more than one occupant. Body corporate is responsible for maintaining and repairing antenna equipment that’s part of the common area and services more than one lot. The homeowner (or your landlord) is responsible for repairing antenna equipment that’s exclusively for their use, including cables that go directly to the property (and not your neighbours). Again, this act states that the strata corporation is responsible for maintaining any common property to an acceptable standard. This act states that the body corporate is established to enforce any by-laws, “control, manage and improve the common property”, and “maintain the common property in good condition and keep it in good and serviceable repair”. What’s the Best Process for Tenants to Book an Antenna Repair Tech? If antenna repair is likely to be covered by your landlord or body corporate, it’s a good idea to let your property manager handle the process. Many property managers and body corporates have their own approved list of contractors and may already have a preferred antenna repair technician. (By the way, if you’re a property manager and are looking to add more reliable contractors to your list, let’s chat). Unfortunately, there’s not a lot you can do if you’re the tenant, other than notify the right people about any issues. But it doesn’t hurt to ask if you can help with the booking process yourself – they may appreciate your efforts, and you’ll have more control over who you book with and when they come to your home (plus it may speed the process up). Looking for an antenna repair technician in your local area who is experienced with complex repairs and installs for apartments and shared complexes? We can help. Call 1300 800 123 for a free quote or to book one of our technicians to come and get your antenna working again.